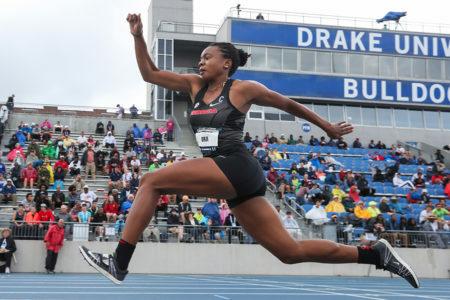 Taking the world lead in the 100 with a PR 9.88 at the USATF Championships put Noah Lyles in a dancing mood under the gray sky above Drake Stadium. And the name of the dance was the… nope, his fancy footwork didn’t have a name. “It’s a millennial thing,” he says. That and a spontaneous reaction to another milestone surpassed: sub-9.9. 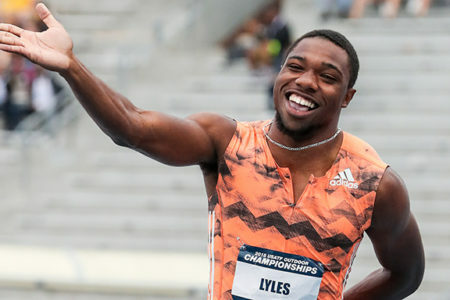 Lyles had first breached the barrier with his 9.89 semi to equal Mike Rodgers’ day-old world leader from the heats. 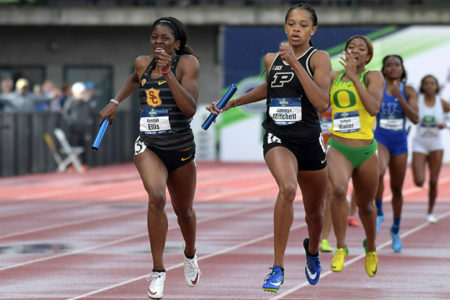 Women’s 100 winner Aleia Hobbs told journalists in the mixed zone she thought she could give Lyles a run for his money in a dance-off, and suggested she might retire to her hotel room to practice for the challenge, but no one finished ahead of Lyles on the track. 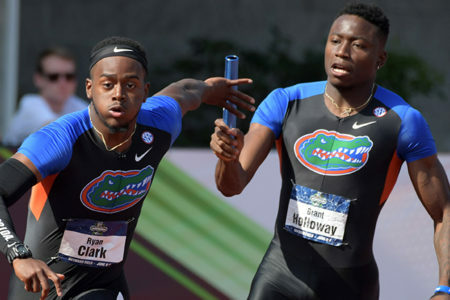 Just over 11 months into his 21st year, and one lap around the sun since a hamstring strain forced him to withdraw from his ’17 USATF 200 semi, the Virginia native had made himself the candidate du jour to step into the enormous sprint-doubling void left by Usain Bolt. While Lyles hasn’t yet cemented his claim to the heir’s spot—the other contenders are well known—his Des Moines dash bestowed a new descriptor for the first time: world class century threat. 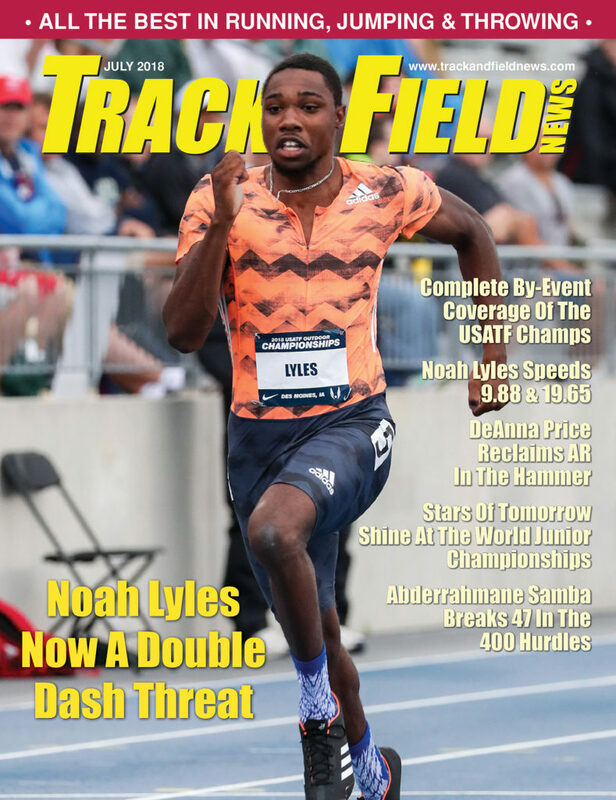 Noah Lyles, ’17 Diamond League 200 titlist, is now Noah Lyles all-purpose dashman. Interviewed last fall for our ’18 Super Preview issue, Lyles said, “I feel like I have a lot more to give and with the program I’m in with Coach Lance Brauman, I feel like we can definitely reach that potential.” He’s off to a super start on the project, with exhibits including his 19.69 Pre 200 win over the ’17 WC gold and bronze medalists. 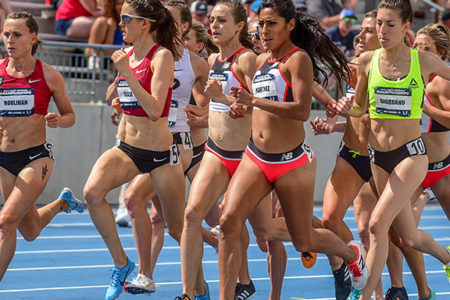 Between the Pre Classic and Des Moines, Brauman said, would come a 100 test in Kingston: “He’s gonna set it up and run his best. I think he can be a 9.9, 9.8 guy so that’s what he’s working towards.” Lyles was already a 9.8 guy, sorta, one with a powerful wind (4.1mps) behind the 9.86 he ran in Gainesville in April. 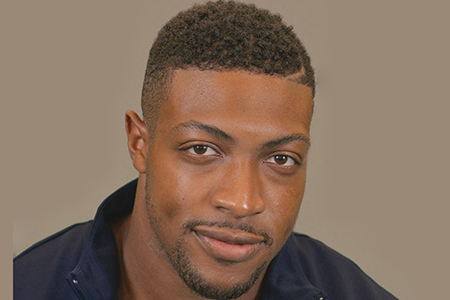 At the Racers GP meet in Kingston (June 9), Lyles sprinted 9.93, placing 2nd to the 9.91 PR of long, tall Briton Zharnel Hughes. 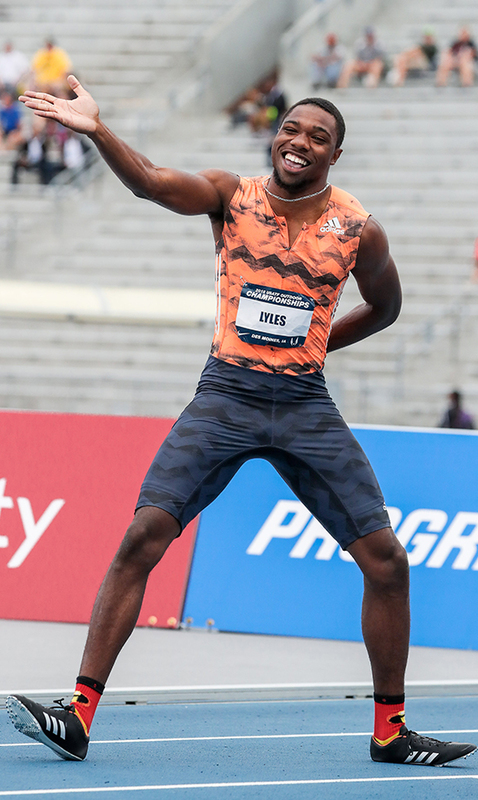 His millennial dance party of one, and a bow to the crowd, was powered, too, by a release of frustration Lyles carried through the winter when he raced four 60s, including a USATF Indoor heat and semi, without winning a race. Lyles has successfully flipped the switch. “I believe it came after Doha,” he says, “and right after Boston”—the adidas Boost street meet, where Lyles ran down LSU alum Nethaneel Mitchell-Blake in the last 30m of a straightaway 150, timed in 14.77. “We went back and I did a few starts, and all of a sudden I felt like it was just clicking. I know I didn’t get the greatest start at Boston but I still felt like my starts were [snaps his fingers] clicking. And my transition was going together and it proved right [at Pre]. Then we went to Jamaica and that just really solidified it for me.” Beyond just physically grooving his race skills, “it” was also belief in what those skills could yield. The time where Lyles wants it to hit next year will be in late-September/early October at the World Championships in Doha. After attacking the second half of this summer’s Diamond League season starting, he hopes, by making some noise in the Lausanne 200 on July 5, Lyles and Brauman plan an adjusted build-up for what Lyles calls “the looong, looong next year.” Phase one of fall training will be conducted Yogi style. “I’m thinking of just acting like a bear and just having a hibernation, a good old-fashioned sleep,” he says. Following, of course, a new high in the 100.